On Sunday October 22nd, Bishop Sullivan was the main celebrant and homilist for the White Mass for Physicians, Nurses and Healthcare Professionals of the Camden Diocese. This Mass is in recognition of the work of healthcare providers as they continue the healing mission of Jesus. The Mass was celebrated at St. Luke’s Church, Our Lady of Guadalupe Parish, in Stratford. 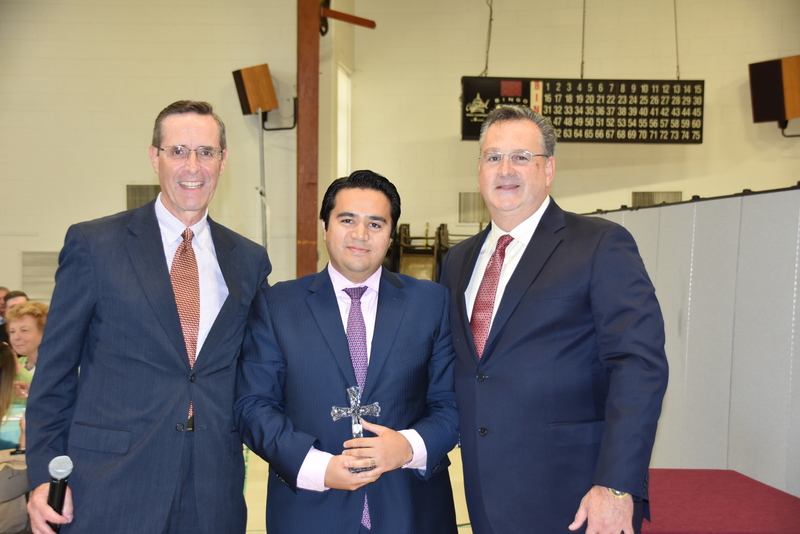 Joining the parish congregation were nearly 100 physicians, nurses and guests of the three 2017 Saint Luke Award recipients. Each year the South Jersey Catholic Medical Association recognizes individuals who are exemplary examples of the Catholic faith in their work in healthcare. This year’s recipients were Dr. Anthony Wehbe, Dr. Christine Kimler and Barbara Holfelner. For information about the South Jersey Catholic Medical Association you can contact Dr. Gerald Burke at geraldburkemdjd@comcast.net. Dr. Anthony Wehbe (center) with Dr. Gerald V. Burke (left) and Dr. Carman Ciervo (right), after receiving his St. Luke Award at the White Mass reception. 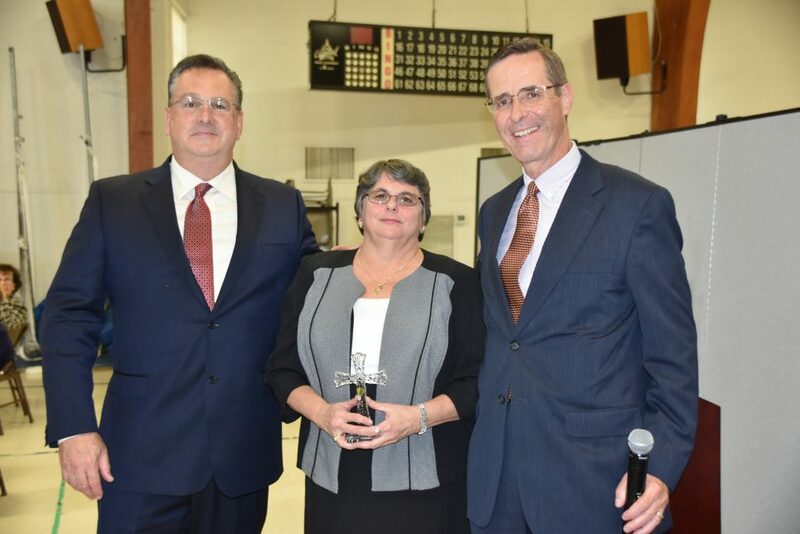 From left: Dr. Carman Ciervo, Vice President of the South Jersey Catholic Medical Association, Dr. Christine Kimler, St. Luke Award recipient, and Dr. Gerald V. Burke, President of the South Jersey Catholic Medical Association. 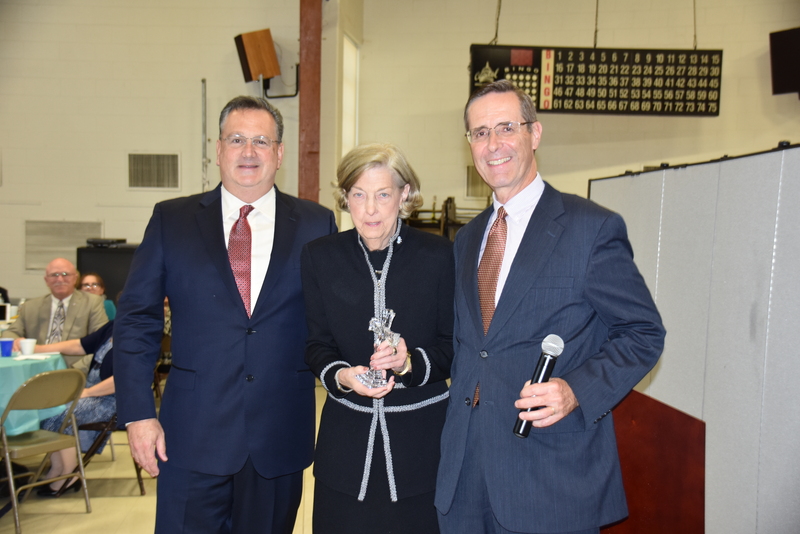 St. Luke Award recipient Barbara Holfelner with Dr. Carman Ciervo (left) and Dr. Gerald V. Burke (right).